George Eskridge I [image] was born about 1660 in possibly Lancashire England. He died on 25 Nov 1735 in Westmoreland County Virginia. He married Rebecca Bonum about 1679 in Virginia. Rebecca Bonum [Parents] [image] was born about 1665. She died about 1715 in Virginia. She married George Eskridge I about 1679 in Virginia. M vii Daniel Eskridge was born about 1705. John Kenner [Parents] was born on 27 Dec 1677. He died about 1735 in Cople Parish Virginia Westmoreland County. He married Ann. Ann was born in 1737. She died UNKNOWN. She married John Kenner. James M Ashworth [Parents] was born about Mar 1881 in Georgia. He married Alice about 1907 in probably Alabama. Alice was born about 1881 in Georgia. She married James M Ashworth about 1907 in probably Alabama. Sherman Ashworth [Parents] was born about Mar 1886 in Georgia. He married Georgia about 1907 in probably Alabama. Georgia was born about 1890 in Alabama. She married Sherman Ashworth about 1907 in probably Alabama. Franklin Battles was born about May 1832 in Alabama. He died UNKNOWN. He married Sarah Whitworth. Sarah Whitworth was born in 1853 in Georgia. She married Franklin Battles. F i Mary Jane Battles was born about 1868 in Alabama. F iv Lela Battles was born about 1875 in Alabama. Sarah Elizabeth Jennings [Parents] was born on 18 Aug 1916. She died on 21 Jan 1997. She married Robert Snowden Moon in 1936. Samuel Eskridge I.Samuel married Susannah Kenner before 1780. Susannah Kenner [Parents] was born about 1750 in Fauquier County Virginia. She died in Newberry District South Carolina. She married Samuel Eskridge I before 1780. Spencer Morgan.Spencer married Susannah Kenner on 14 Oct 1780 in Fauquier County Virginia. Susannah Kenner [Parents] was born about 1750 in Fauquier County Virginia. She died in Newberry District South Carolina. She married Spencer Morgan on 14 Oct 1780 in Fauquier County Virginia. 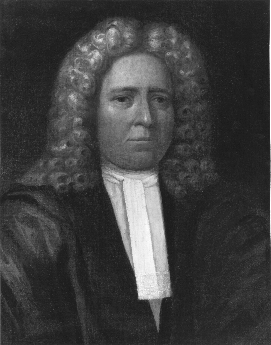 George Eskridge I [image] was born about 1660 in possibly Lancashire England. He died on 25 Nov 1735 in Westmoreland County Virginia. He married Elizabeth Vaulx. Elizabeth Vaulx died before 27 Nov 1744 in Westmoreland County Virginia. She married George Eskridge I.
Francis Kenner I (NSDAR) [Parents] was born about 1734 in Northumberland County Virginia. He died about 1784 in near Watauga Tennessee. The cause of death was Smallpox. He married Elizabeth Howard about 1756 in New Hanover County North Carolina (Tennessee). 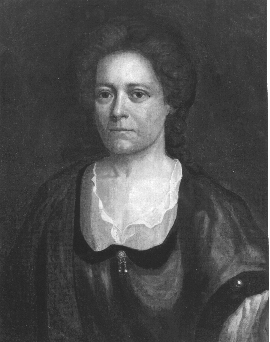 Elizabeth Howard.Elizabeth married Francis Kenner I (NSDAR) about 1756 in New Hanover County North Carolina (Tennessee).